Over the past few years, we’ve perfected the art of helping startups secure the capital, coverage and customers they need to grow. At our conferences, they’re given the opportunity to show international tech influencers, investors and journalists the next game-changers. And it works – many of the startups have gone on to do great things. We’re bringing our startup program to the Big Apple. In case you haven’t heard, we’re building Momentum: A new conference for New York. Focused on quality, not quantity, Momentum will see 5,000 influential attendees come together to network, do business, and explore some awesome startups. In accordance with this theme, our startup-program participants will also be cherry-picked: Instead of the 150 companies usually invited to TNW Conference, just 60 will be selected to exhibit at Momentum 2016. For investors, press and attendees this means they’ll be presented with nothing but the cream of the crop of the startup world. For startups, it means greater visibility with influencers, investors and press, plus an increased chance of 1-on-1 time with the right people. And a great new approach needs a fitting name, so we went with SCALE – because that’s exactly what our startups will do. If you think your company has got what it takes to make the cut, you can learn more about SCALE and sign up here. Conference tickets – Your SCALE package includes 4 full conference tickets. Investor meetings – Curated one-on-one meetings are scheduled with investors by TNW on your behalf. Exhibitor booth – Get a high production value exhibitor booth to connect with press, investors and early adopters. Pitching Opportunities – A third of all SCALE startups will get to pitch on the business area stage during the conference. Featured on TNW – Mentioned in at least 1 article on thenextweb.com prior to the start of Momentum. Much more – Submit your application to speak with our Startup Team about our full list of benefits. 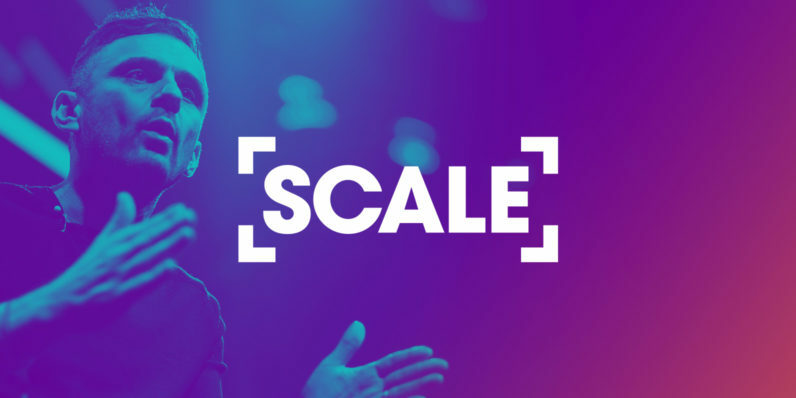 ➤ Sign up for SCALE: our new startup exhibition opportunity for New York!